Working with nonprofits and socially-oriented organizations is a way to challenge yourself as a designer and learn about stunning design, all the while creating a positive impact. Nonprofits and socially-oriented businesses have inspiring goals and so much to offer to the world, yet rarely have the time and resources to broadcast their message. 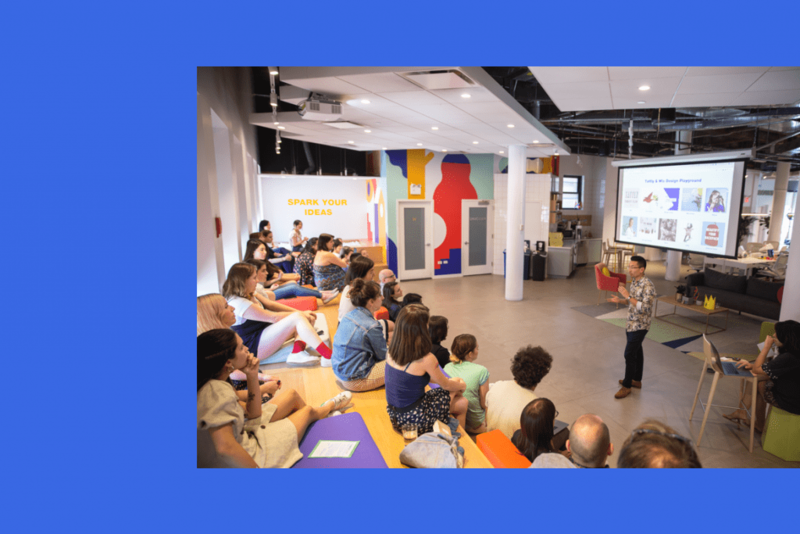 For the Head of the Wix Design Playground, Vuong Tong, and the program’s Creative Director, Dafna Sharabi, this seemed like an interesting and charitable challenge – introducing the program’s students to a new territory where they could convey their vision to a different kind of client. Their interest resulted in a month-long project, and one of three pillars to shape the Design Playground program. 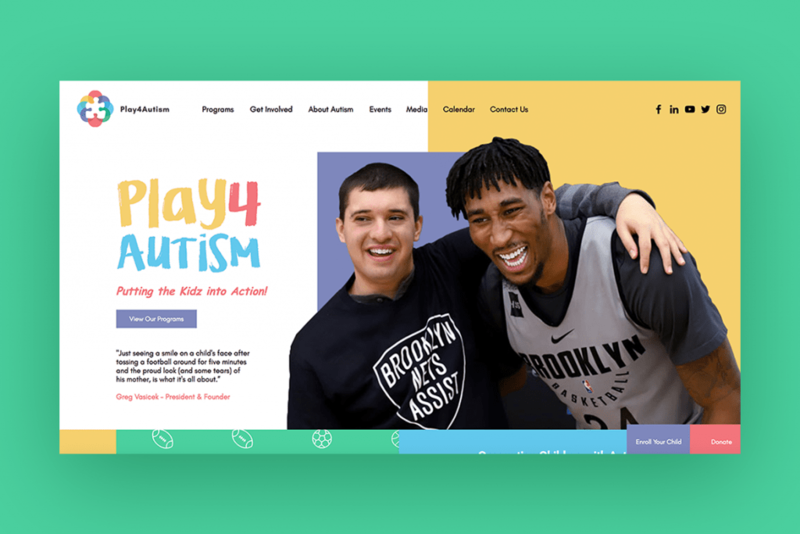 For the ‘Social Good Project’, the Playground students collaborated with NYC-based nonprofits and social impact businesses in order to build a new website for each of them. After working with real clients and deadlines in their previous project, this presented a new set of challenges. Beyond the skill set, they were to acquire, the project enabled designers to give back to the local community, while establishing a partnership beyond the three months of the summer program. This project had three major challenges – to teach the students the fundamentals of good design, to communicate the importance of such professional design to their client and to ensure they meet their client’s needs without compromising the vision. To achieve that, Vuong started by breaking down “good design” to elements regarding this particular project. First, each project needed an overarching organizing principle. Second, the organization’s website had to meet the functional needs of the organization, while creating an online presence that would be engaging, thoughtful, memorable and stir up emotion. Third, there needed to be a compelling call-to-action. For Vuong, the website created for the Educational Video Center (EVC) exemplifies exactly these three principles. EVC prides itself on more than 30 years of pioneering work at the intersection of student-centered, project-based education and social justice documentary-making. Designing their new website came with its own complexity. 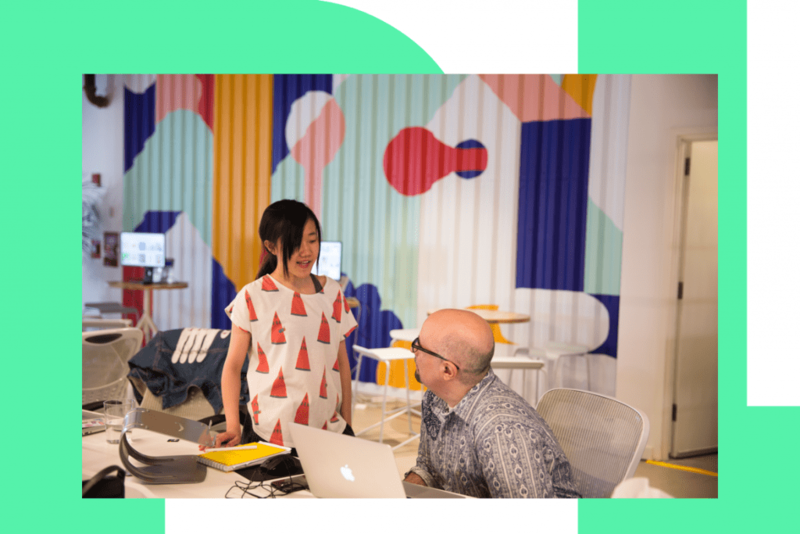 “Their site had a lot of content and needed new functionality,” Vuong explains. “And with video, there is risk for it to be too busy or just become the background video.” Along with that, EVC’s call-to-action was unique – they didn’t just want donations, but also wanted people to join them in creating the next award-winning documentary. For the team, this content question was an opportunity for communication. They encouraged students to approach and ask their client for very succinct answers about their needs. “Students looked into the content and then asked the client about what exactly they needed, which in EVC’s case, was to easily showcase their video content.” The fact that the students understood their client was evident in the final design, in which “the videos became the star of the design and drive the user to engage and discover more content,” said Vuong. Working with nonprofits and social impact enterprises, the designer’s requirement for communication becomes more evident. 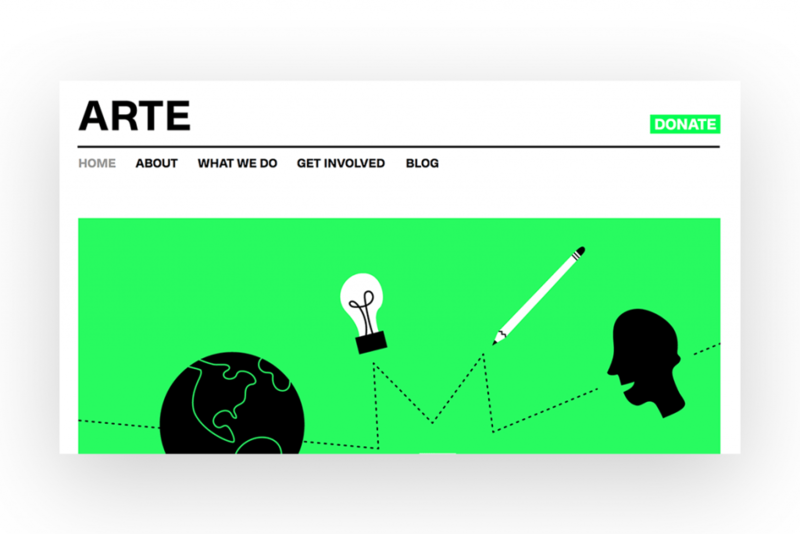 Web design for social-good needs to show that design choices are often more sustainable and less challenging. For the project, students were assigned to work with both nonprofits and B-Corp businesses. The latter are companies that can make a profit but also need to show they are motivated by social impact. While a designer may need to communicate and understand the client, a crucial part of the role is always being the visionary. Comparing the functionality a client seeks with an ideal the designer knows that exists. This creates a slight yet ever-existing tension of finding a middle ground. That is, finding how you can answer the need of the client while not compromising the design. 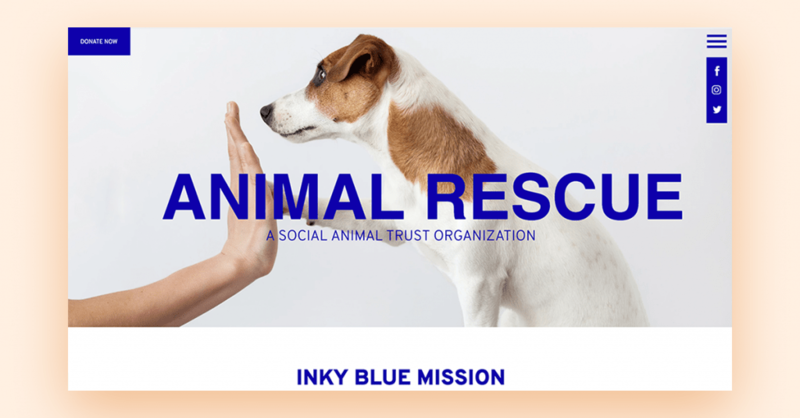 For this reason, the emphasis in the Social Good Project was delivery but also communication – one that is beneficial for the client, designer and design. Educating the client, for the most part, means enabling them to let go of what they have grown to know and like and introducing them to the potential of change. Tong notes, “Clients really do get emotionally attached to their website; they will reference it time and time again and your challenge as a designer is to focus on the logic and offer a solution.” This leaves the designer to map the visual field and understand that what may not be the most avant-garde design, may still be the best thing for the client. Being a visionary and a mediator of design might sound complicated, but this is something a designer can achieve as long they are motivated by confidence. For Dafna, being able to communicate your intuition to others – as well as yourself – is vital. “Explaining your creative process will enable you to defend your choices, and teach your clients.” For Vuong, it is continuously going back to your original inspiration, keeping your vision in mind, and adhering to “good” design principles: engaging functionality, consistency and a clear call-to-action. While some of the best advocates for good design may be the clients, every designer will probably encounter a client who challenges this notion; so the best way to push forward is to trust both your ability and the work you’ve created.